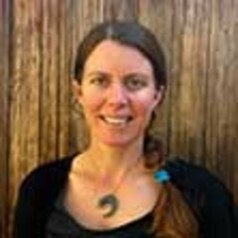 Dr Sarah Wright is a senior lecturer in geography and development studies, and co-convenor of the Program in Development Studies at the University of Newcastle. She is a scholar and practitioner with 20 years’ experience working with community groups in the Philippines, Cuba, the United States and Australia, and in conducting and supervising research projects in an academic and professional capacity. Her research is in the areas of critical development studies (particularly on geographies of food and intellectual property) and Indigenous and post-colonial geographies (particularly on the implications of Indigenous ontologies of connection for sustainability, natural resource management and development). Her focus is on understanding the contribution of Indigenous and community knowledges and world views to frameworks that can have a sustained impact of poverty. She has worked in Indigenous communities on enterprise development for eight years, in particular within a long-standing and award winning collaboration with Yolŋu women from Northeast Arnhem Land. She has worked in international development in Cuba helping coordinate urban food production education projects, in the Kalahari in Southern Africa with #Khomani San communities developing Indigenous-owned tourism ventures, and in both the Philippines and Kenya with networks of subsistence organic farmers. She conducts training in asset-based community development, participatory planning, community development and permaculture. She has published 7 books, 15 book chapters, 27 referred journal articles and given over 50 conference presentations.